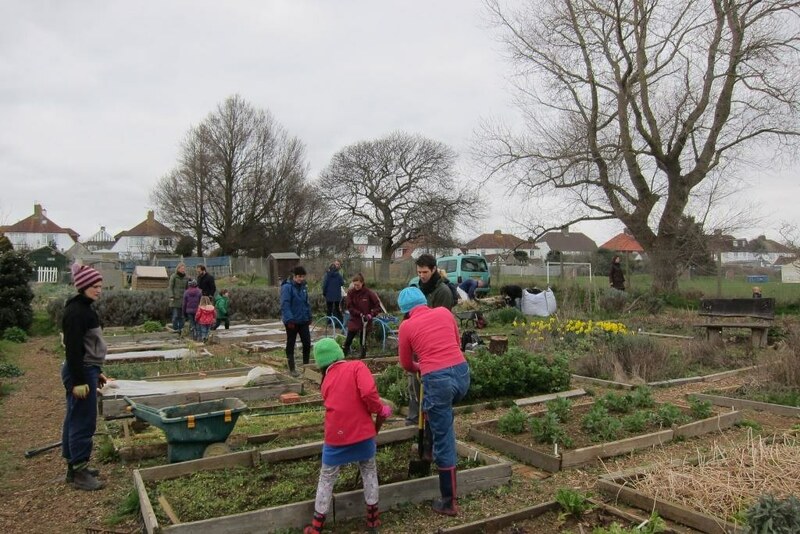 We started our allotment project in 2004, so we could demonstrate a low maintenance approach to organic fruit and veg growing – and, helpfully, to make a space where the group could meet, work and learn together. The plots were neglected when we took them on and an army of volunteers was needed. Fourteen years on and the battle to clear the site of these pernicious weeds continues! If you’re hoping to be organic, using weed-killing chemicals isn’t an option, you just have to keep digging them out! A troop of volunteers continue to meet on Sundays throughout the year (11am – 1pm weather permitting) and undertake a range of tasks. Their efforts are rewarded with a share of whatever produce is available and this allotment is very productive. Come and visit! The allotments were designed to be accessible to as many people as possible. Wide, flat paths welcome visitors in wheelchairs and an area was set aside to be used for workshops. 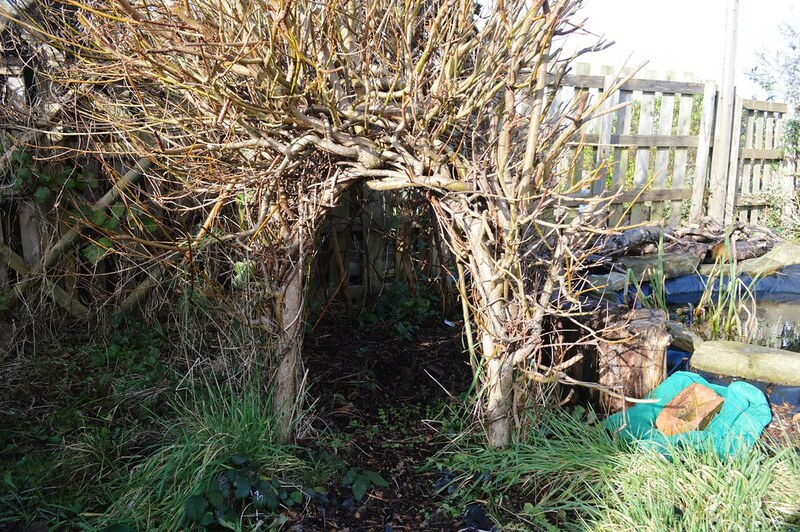 Our “wigloo” makes a shady play space for young children and the shed and our polytunnel provide shelter for volunteers on chilly winter days. 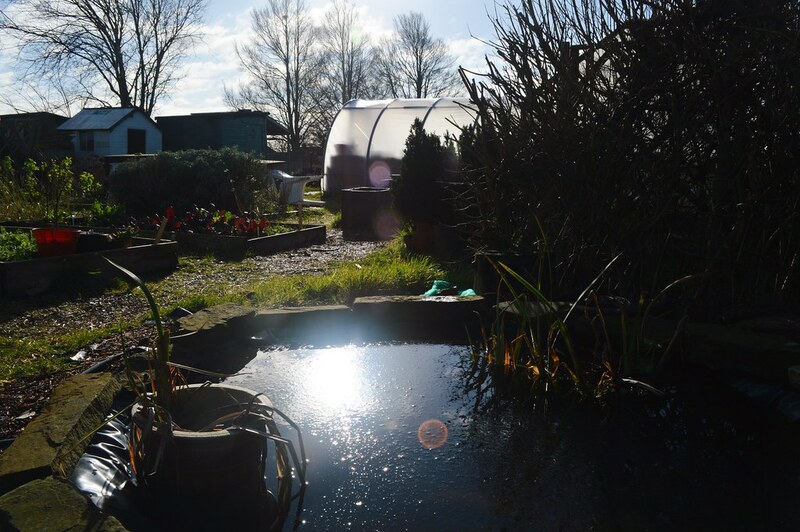 Two ponds, flower beds and compost area help us to grow our food in a natural way as they attract pollinating insects and provide habitats for a wide range of predatory creatures. The composting process is essential for recycling nutrients from decaying plant material and maintaining good soil health. We welcome new volunteers – come and give us a try!